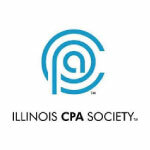 As a full-service firm with a licensed, Certified Public Accountant, you'll get outstanding service and reliable information whenever you call on our team. Let us treat your business like our own. Let's start with creating a plan that minimizes your debt, increases your savings, and creates a portfolio that meets your needs. There's no reason to overpay in taxes or to struggle to handle any financial-related matter. Come in to see us today, we'll find a solution to any problem you have. Our audits provide a complete look at your business' financial statements, (including the verification of information), internal controls, testing of transactions, and third party communications. 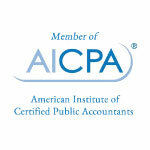 Simplify your business and hire a licensed CPA to do the work for you. 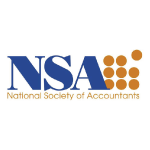 Whether you need help with your fixed asset and depreciation accounting needs or accounts payable and receivable processing, we are here. "I've been going to Santos for my taxes for over 5 years now. 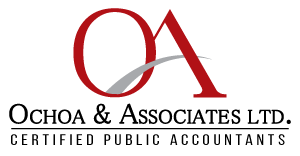 There is a reason why a lot of my friends and family now go to Ochoa and Associates as well. Very fast and very easy to do my taxes this year with Ochoa. I was recommended here and will be coming here for upcoming years, great job! I've been going to Santos for my taxes for over 5 years now. There is a reason why a lot of my friends and family now go to Ochoa and Associates as well. 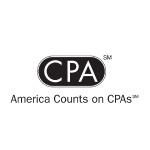 They are Professional, Trustworthy, and most of all Passionate in helping you receive the maximum refund. I highly recommend them. Best place to do taxes! Been coming here for years!! Always great service! Amazing service! I will be back next year for sure! Great Coustumer service !!! Will be coming back next year .. The best place to do taxes. Never been more satisfied. As usual, Santos and the staff took care of us. And that's the reason we have been loyal, satisfied clients and friends for years. Secretary, along with Susana, the person that did my taxes, where very profesional. I have been coming here for the last 4+ years and never had a problem with either my taxes not the personal. Would totally recomend. En Santos Ochoa hacen muy buen trabajo. Great service. They explain and answer all our questions. Servicio profesional, 100 recomendado!! Más de 5 años consecutivos!!! Excellent job we come from Chicago it is so Worth it. Professional and great service. With a even better price. Tenemos 7 años con Santos y siempre hace un excelente trabajo. Tiene mucho conocimiento y no iríamos con nadie más.